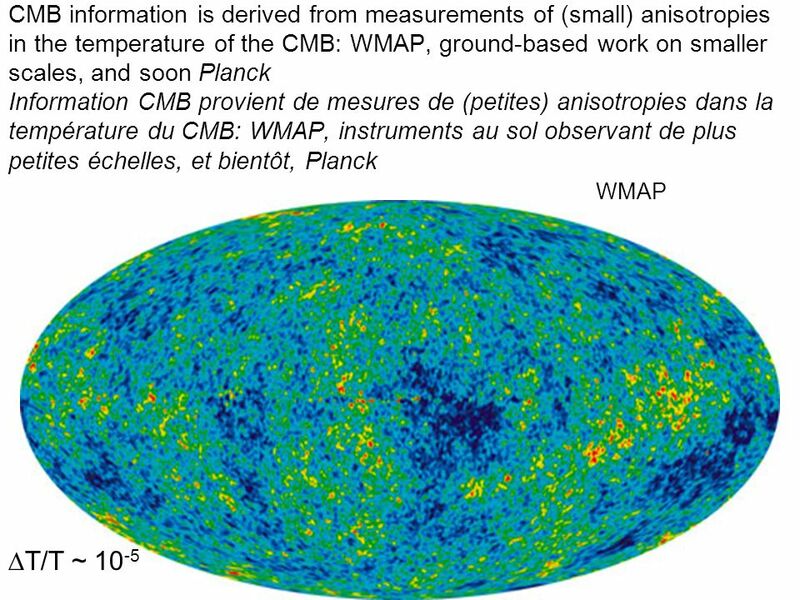 Bruce Partridge, Haverford College, USA Outline: - CMB studiesEtudes CMB - Radio TechniquesTechniques de. 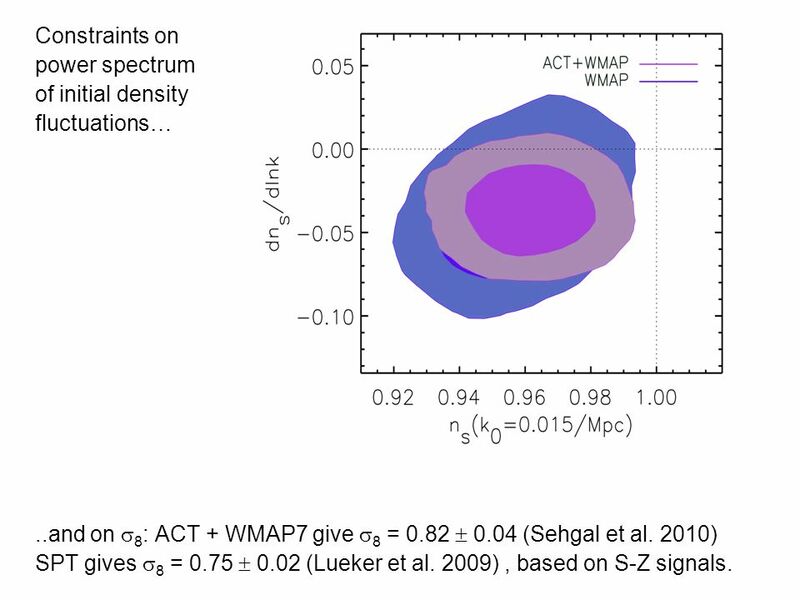 8 Constraints on power spectrum of initial density fluctuations…..and on 8 : ACT + WMAP7 give 8 = 0.82 0.04 (Sehgal et al. 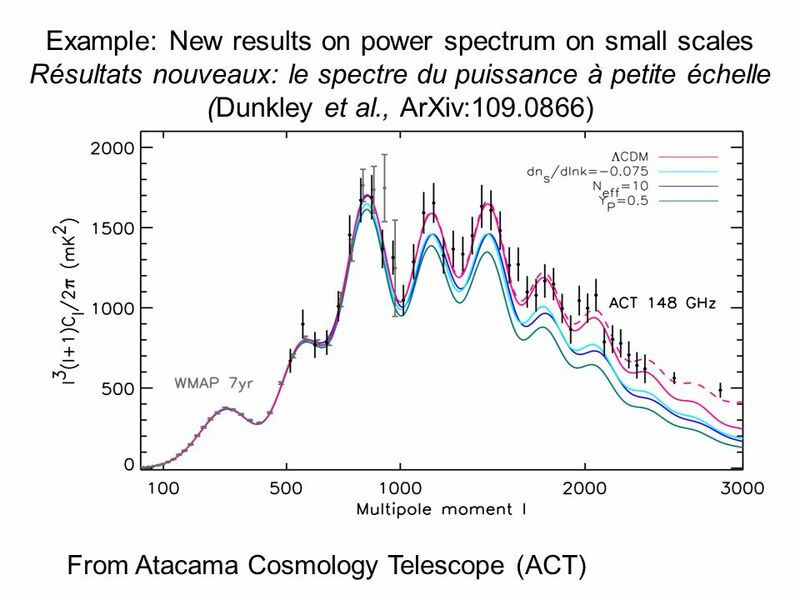 2010) SPT gives 8 = 0.75 0.02 (Lueker et al. 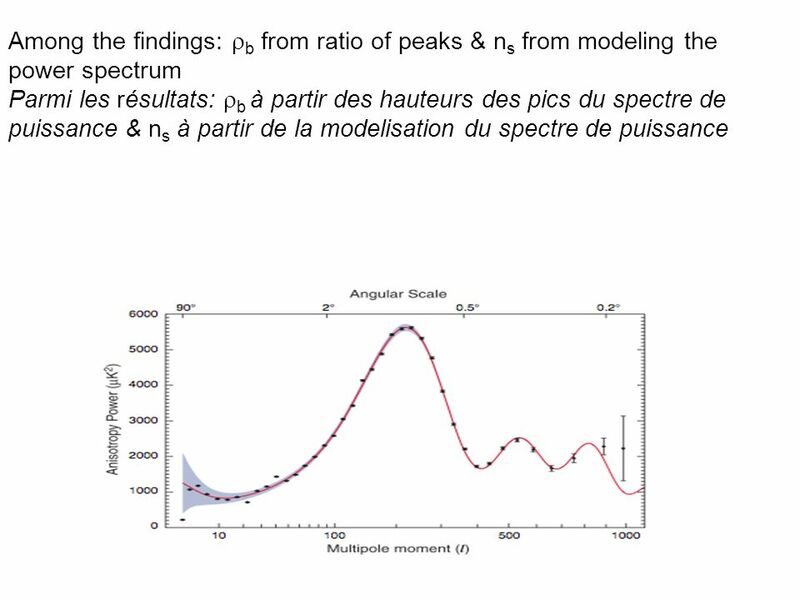 2009), based on S-Z signals. 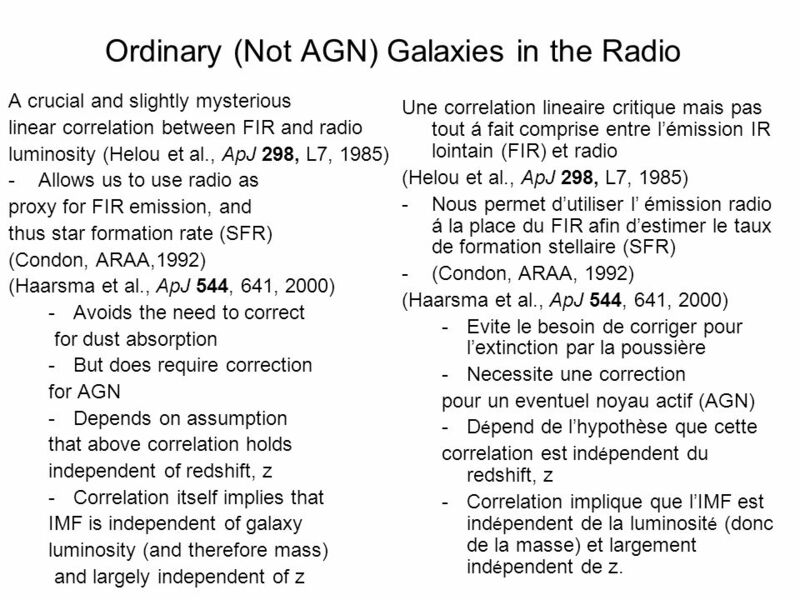 16 Ordinary (Not AGN) Galaxies in the Radio A crucial and slightly mysterious linear correlation between FIR and radio luminosity (Helou et al., ApJ 298, L7, 1985) -Allows us to use radio as proxy for FIR emission, and thus star formation rate (SFR) (Condon, ARAA,1992) (Haarsma et al., ApJ 544, 641, 2000) -Avoids the need to correct for dust absorption -But does require correction for AGN -Depends on assumption that above correlation holds independent of redshift, z -Correlation itself implies that IMF is independent of galaxy luminosity (and therefore mass) and largely independent of z Une correlation lineaire critique mais pas tout á fait comprise entre lémission IR lointain (FIR) et radio (Helou et al., ApJ 298, L7, 1985) -Nous permet dutiliser l émission radio á la place du FIR afin destimer le taux de formation stellaire (SFR) -(Condon, ARAA, 1992) (Haarsma et al., ApJ 544, 641, 2000) -Evite le besoin de corriger pour lextinction par la poussière -Necessite une correction pour un eventuel noyau actif (AGN) -D é pend de lhypothèse que cette correlation est ind é pendent du redshift, z -Correlation implique que lIMF est ind é pendent de la luminosit é (donc de la masse) et largement ind é pendent de z. 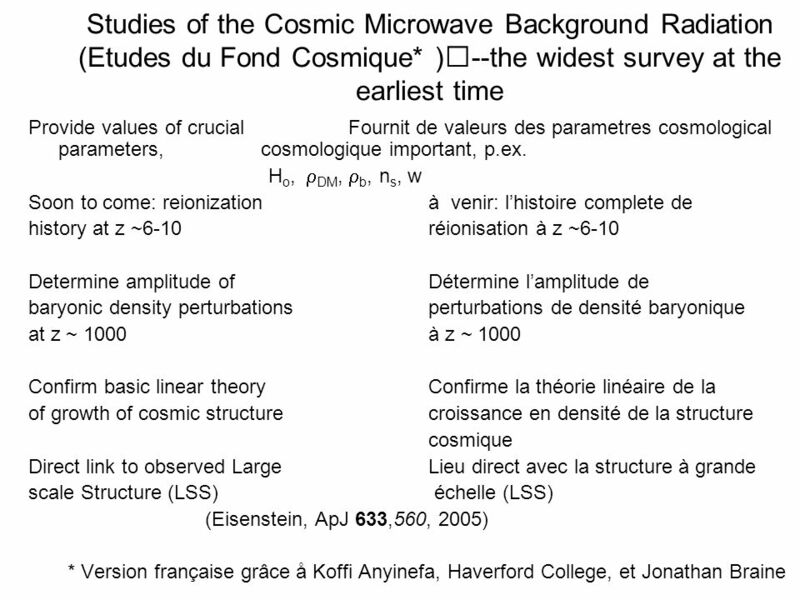 19 SFR from radio is somewhat higher than (these early) results from optical. 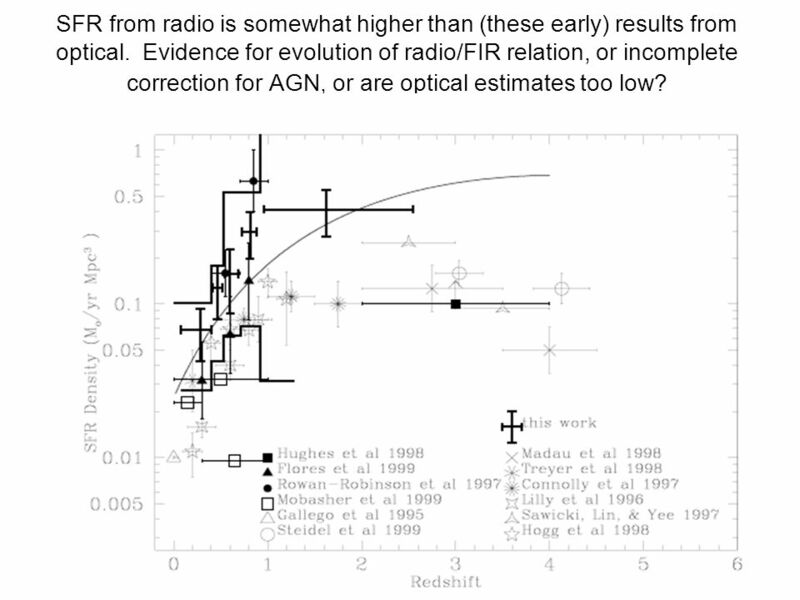 Evidence for evolution of radio/FIR relation, or incomplete correction for AGN, or are optical estimates too low? 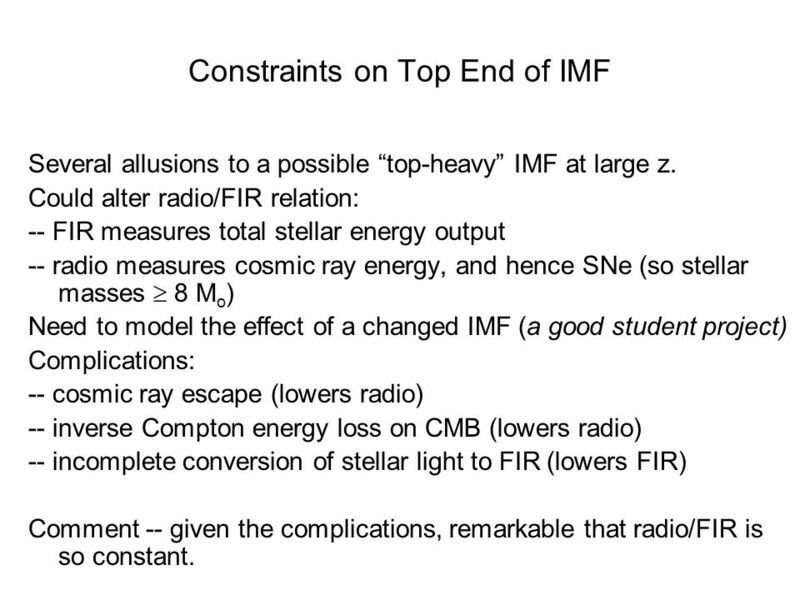 20 Constraints on Top End of IMF Several allusions to a possible top-heavy IMF at large z. 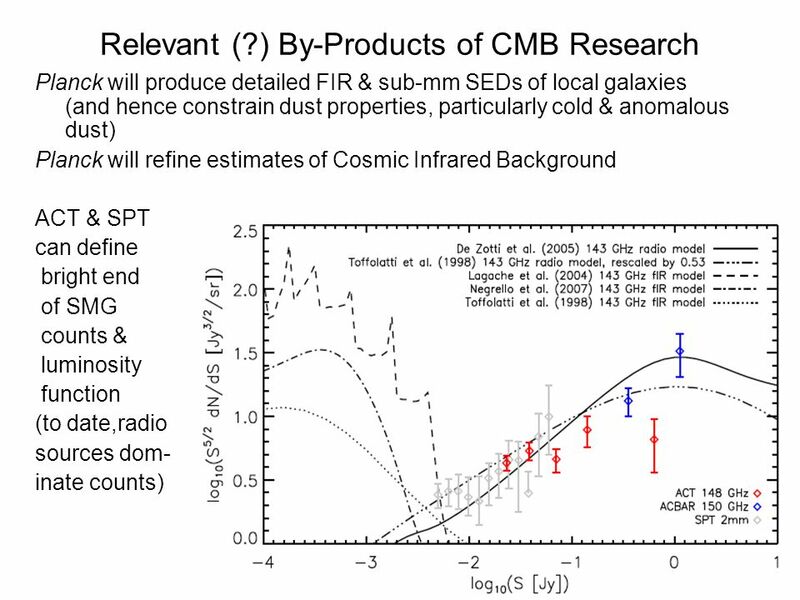 Could alter radio/FIR relation: -- FIR measures total stellar energy output -- radio measures cosmic ray energy, and hence SNe (so stellar masses 8 M o ) Need to model the effect of a changed IMF (a good student project) Complications: -- cosmic ray escape (lowers radio) -- inverse Compton energy loss on CMB (lowers radio) -- incomplete conversion of stellar light to FIR (lowers FIR) Comment -- given the complications, remarkable that radio/FIR is so constant. 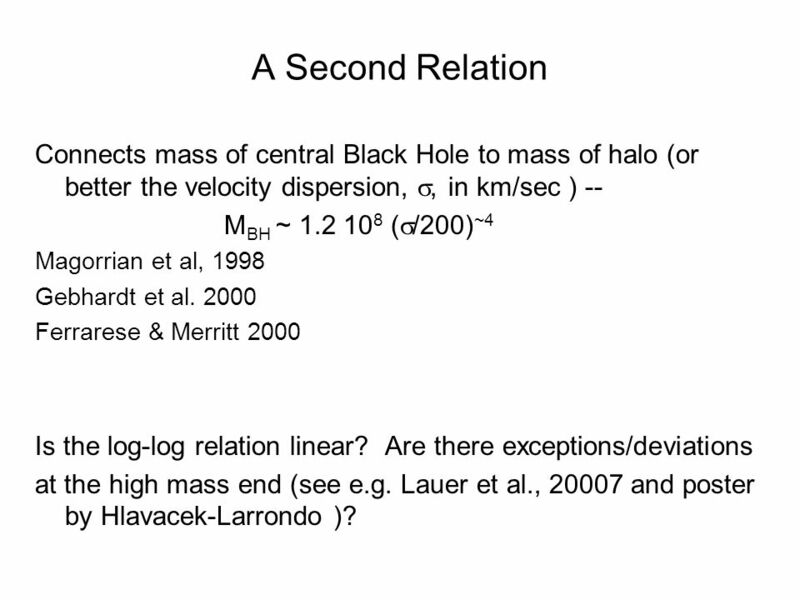 21 A Second Relation Connects mass of central Black Hole to mass of halo (or better the velocity dispersion,, in km/sec ) -- M BH ~ 1.2 10 8 ( /200) ~4 Magorrian et al, 1998 Gebhardt et al. 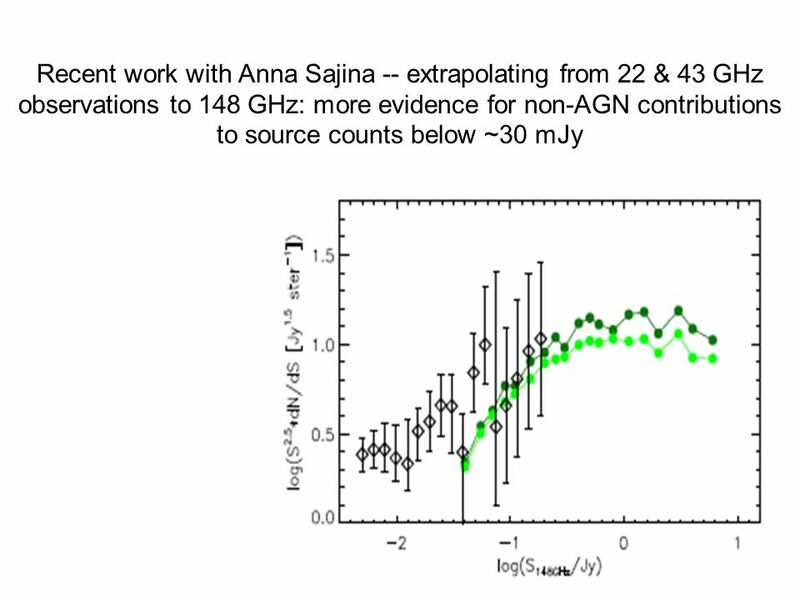 2000 Ferrarese & Merritt 2000 Is the log-log relation linear? 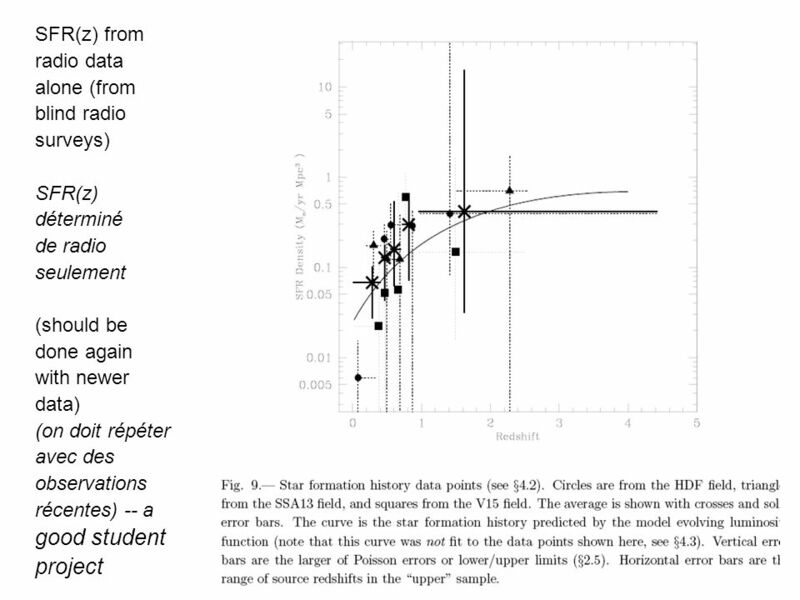 Are there exceptions/deviations at the high mass end (see e.g. 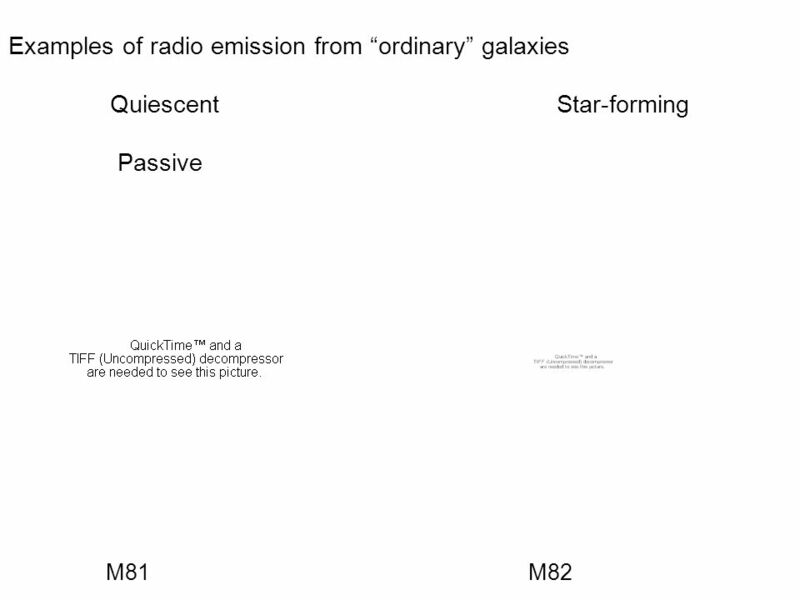 Lauer et al., 20007 and poster by Hlavacek-Larrondo )? 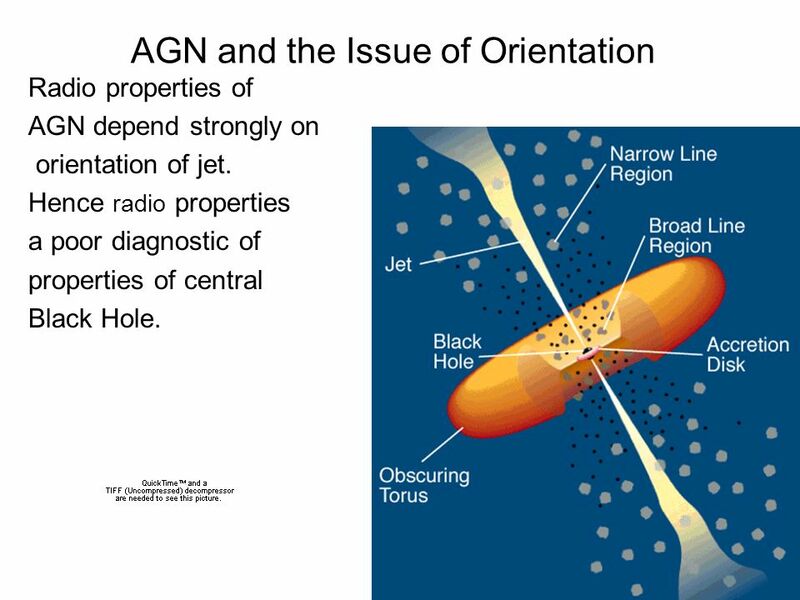 22 AGN and the Issue of Orientation Radio properties of AGN depend strongly on orientation of jet. 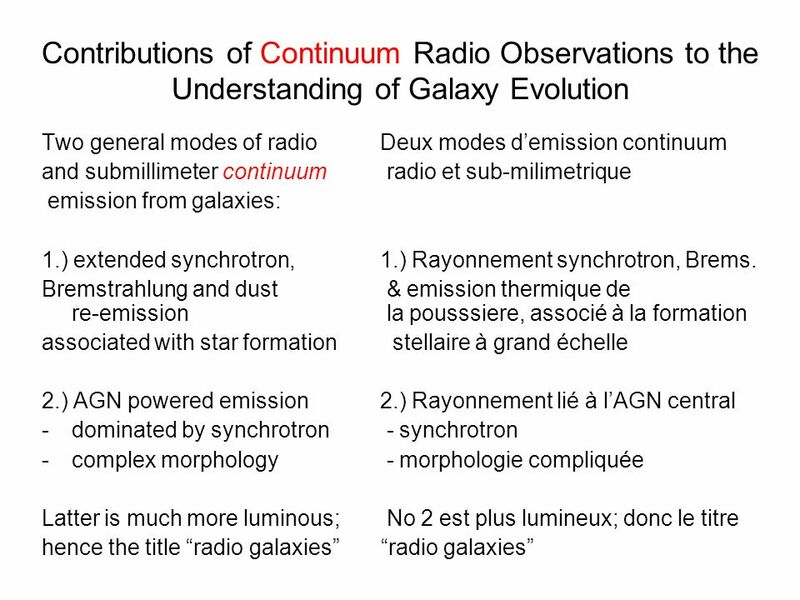 Hence radio properties a poor diagnostic of properties of central Black Hole. 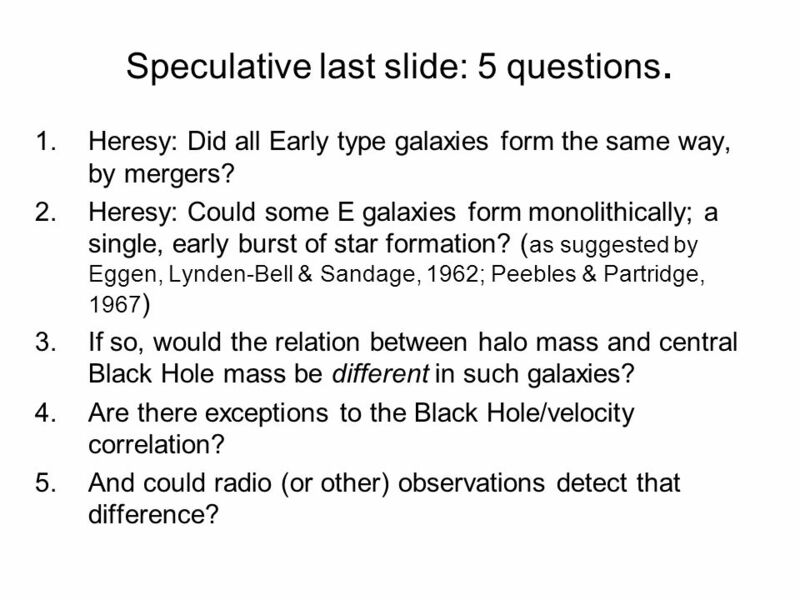 23 Speculative last slide: 5 questions. 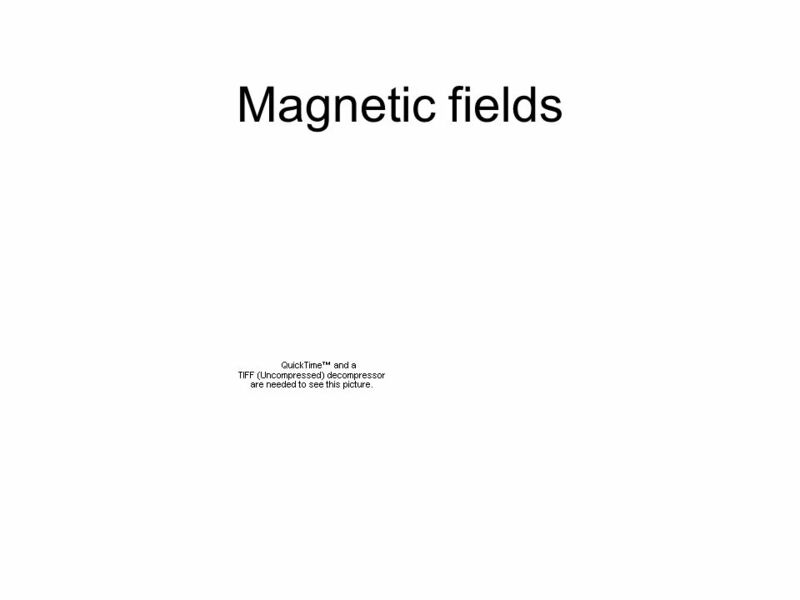 1.Heresy: Did all Early type galaxies form the same way, by mergers? 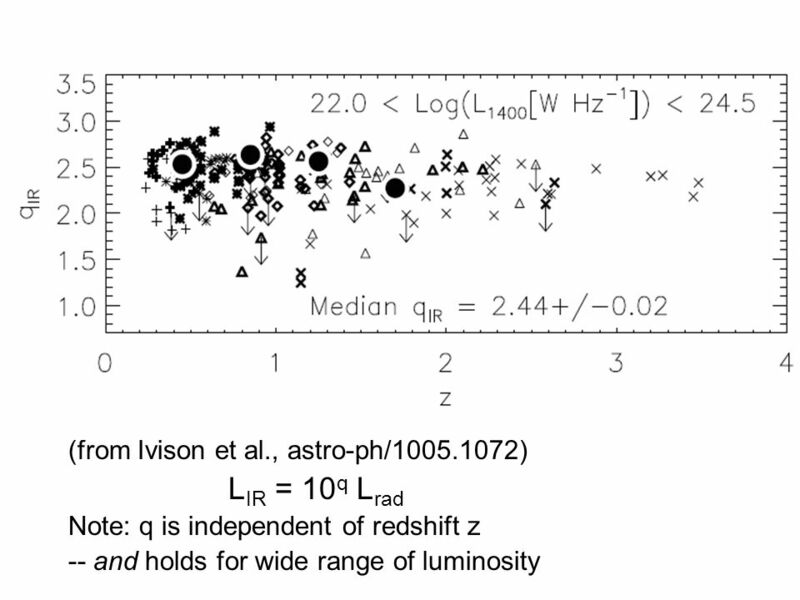 2.Heresy: Could some E galaxies form monolithically; a single, early burst of star formation? 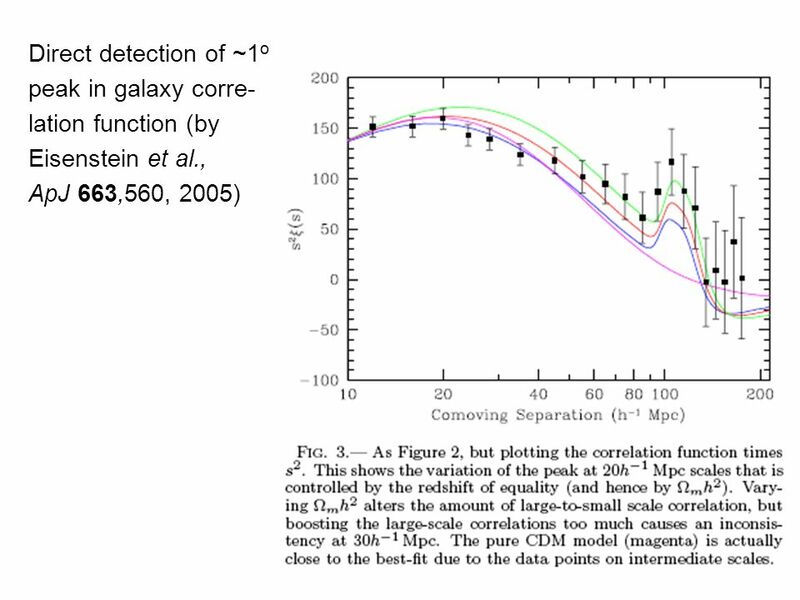 ( as suggested by Eggen, Lynden-Bell & Sandage, 1962; Peebles & Partridge, 1967 ) 3.If so, would the relation between halo mass and central Black Hole mass be different in such galaxies? 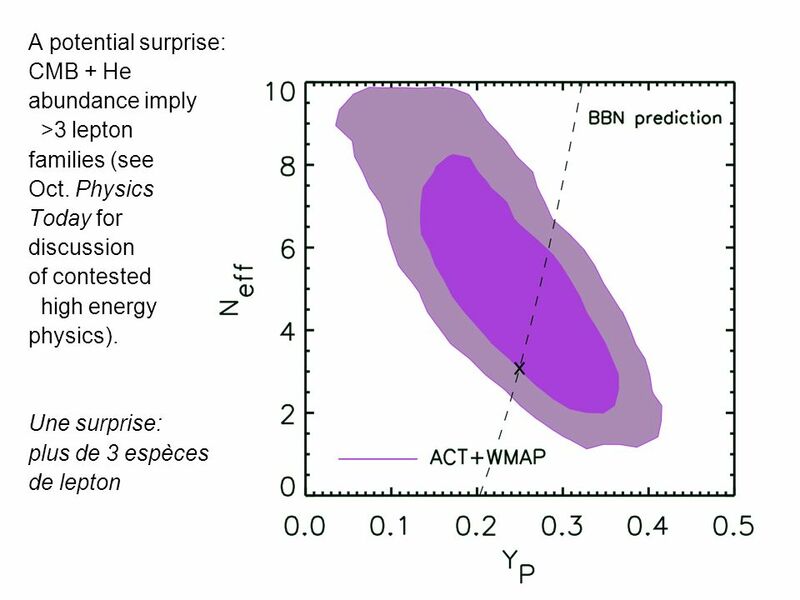 4.Are there exceptions to the Black Hole/velocity correlation? 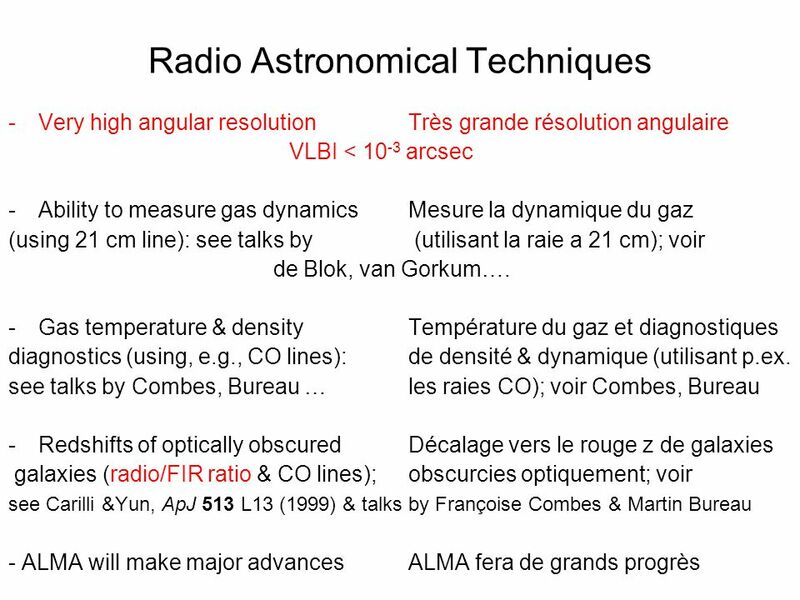 5.And could radio (or other) observations detect that difference? 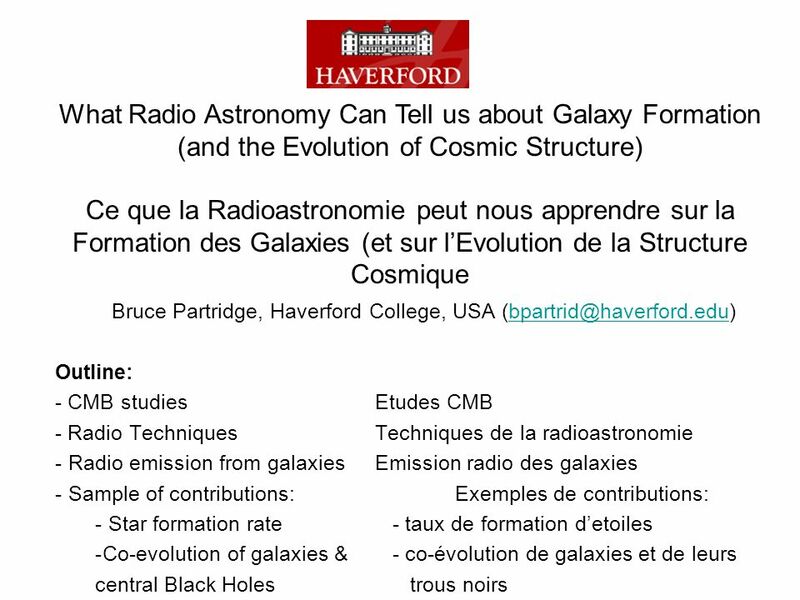 Télécharger ppt "Bruce Partridge, Haverford College, USA Outline: - CMB studiesEtudes CMB - Radio TechniquesTechniques de." 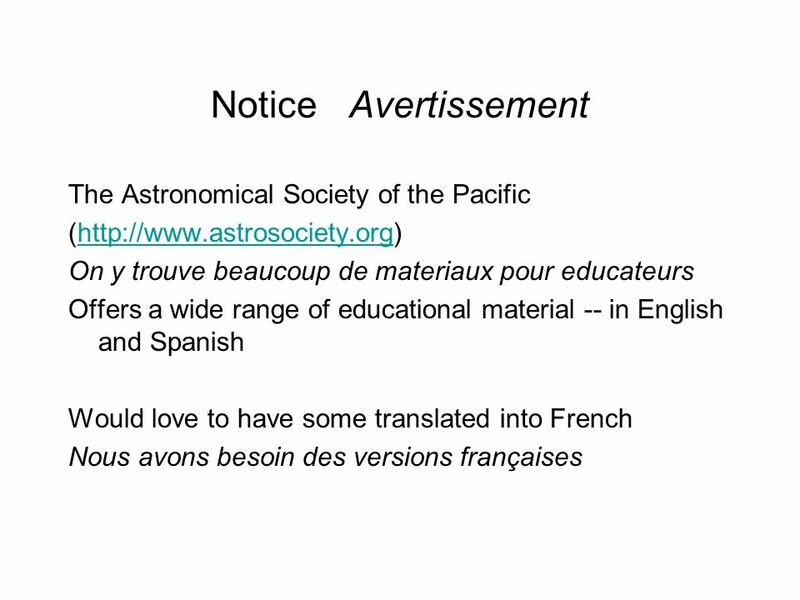 Lhistoire de la formation stellaire dans lunivers avec les ELT et ALMA. 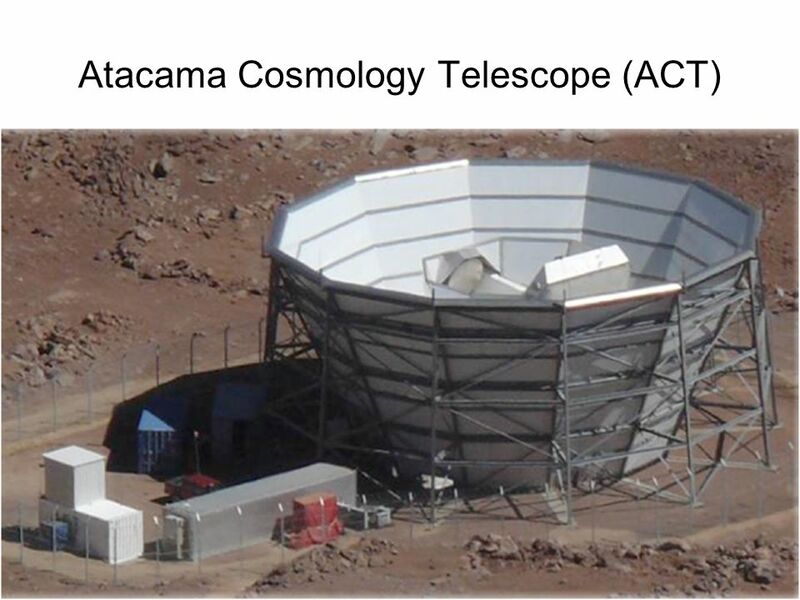 VLT 2ème génération MUSE et KMOS PNC Octobre 2002.